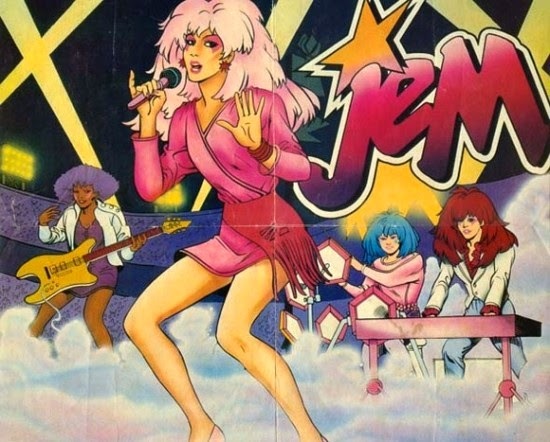 I was reading an article about the Jem & the Holograms movie, because I'm curious about it (I liked the tv show when I was a kid), and there were some complaints about the choice of actress for Shana because on the show, she was dark-skinned with natural hair (in style/texture, not the dyed-purple part), and the actress they cast is mixed race and quite light skinned. So, there were people who expressed their dismay in the comments to the article. First of all, you didn't hear anyone complaining? Second of all, I'm sure that Perrineau truly earned the role and that she will do a great job (I've never actually seen her act before, so I don't really know), but as I like to tell people, context matters. This one instance of casting a lighter-skinned actress instead of a darker-skinned actress may not be a big deal on its own, but there is a long, long, LONG history of lighter-skinned actors being cast in roles where the characters are supposed to be darker-skinned, or actors who are white being cast in roles where the characters are supposed to be PoC (aka, racebending - here's another really recent example), and as someone who has spent almost my entire life never seeing anyone on tv or in movies that looked like me, I just have to say that there is a major, major difference between the two situations. 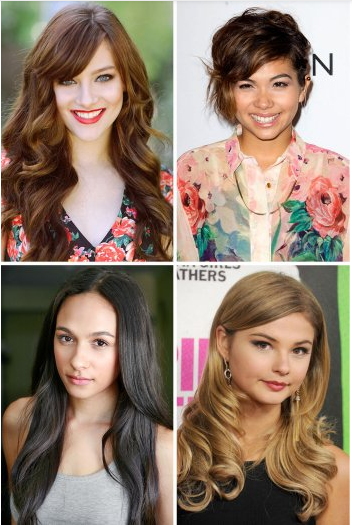 As far as I know, this only tallies up the percentage of lead roles. This doesn't say anything about whether these lead roles were accurate, nuanced, complex, etc, or if they were ridiculously shallow, relying on or perpetuating stereotypes, etc. The fact that Lupita Nyong'o is the featured actress on People Magazine's beautiful people issue? There are probably girls out there who look like her who are just NOW hearing for the first time that the way they look is considered beautiful, because our beauty industry values lighter complexions to the point that you can buy products to bleach your skin. Again, I'm not saying Aurora Perrineau will do a bad job, and I'm not questioning her status as a PoC or anything like that, and I'm not saying that we should sacrifice the quality of a performance for aesthetics. (Could I imagine anyone else playing Katniss other than Jennifer Lawrence at this point? No, because she is AMAZING in that role.) I am not complaining about the actress at all, and I am looking forward to seeing the movie when it's finished. What I AM saying is that when Hollywood whitewashes a character, it's a missed opportunity to increase visibility for races that are already so ignored (or misrepresented) in pop culture and the media. It's yet another missed opportunity on top of pile after pile after pile of missed opportunities to give us regular people the opportunity to see ourselves being represented in entertainment and pop culture. You cannot separate these instances of racebending into individual events without looking at the societal and political circumstances that led to them, and you certainly can't separate them from the consequences they will have. There is no such thing as "just this once" because it's not just this one time... it's the weight of EVERY time, building and building.